Would you like to know where users move from the moment they click on a link in your email? There is a very easy way to track their every step on your website. 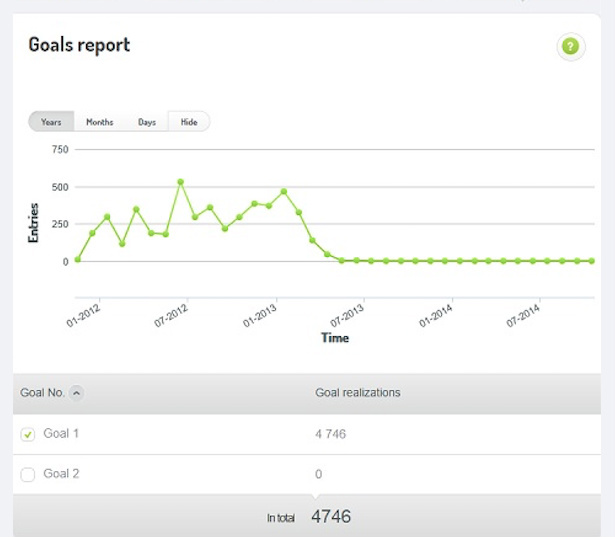 Tracking codes let you examine and analyse the path of users based on detailed reports. This code is part of a script that you add to your website that makes it possible to analyse the behavior of users - from the moment they click on a link in an email and through all the tabs on your website. Thanks to tracking codes you can get even more detailed knowledge about the actions of your recipients to help in the design and content of your campaigns. 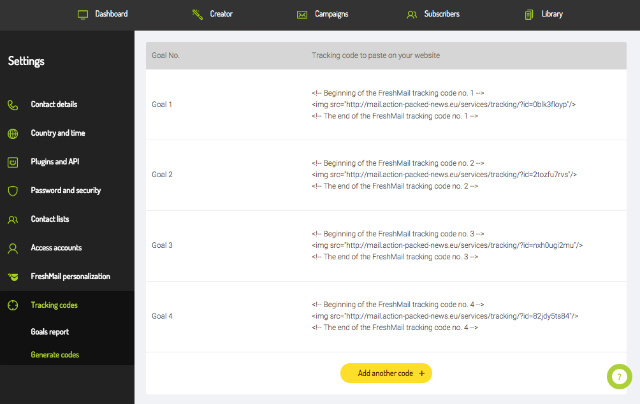 Thanks to tracking codes you can get even more detailed knowledge about the actions of your recipients to help in the design and content of your campaigns. Let’s look at an example of how to make use of tracking codes. Let’s say that you want your recipients to not only click on the link in your email, but also to register on your website, to visit your blog and, hopefully, to check out some prices. The first and most important piece of code is the one you that you have to place on the landing page - the page your recipients will be redirected to after clicking in a link that interests them. The next bits of code you place will be on pages that you want your recipients to visit. For example, you can place a code on the registration page, precisely on the page where you say ‘Thank you for your registration’ that will be displayed after the process is completed. This is the only way you can be sure that a user has actually completed the registration. You can generate tracking codes in the ‘settings’ tab in the ‘tracking codes’ section. Who can add tracking codes to the website? We suggest that tracking codes be added only by someone who knows something about creating websites. This is primarily done out of consideration for your safety. Access to the server that hosts your website and permission to edit files are necessary. In the report you can check how many people fulfilled the objectives you set out, meaning that they visited the pages with tracking codes. To better compare the results, you can see them represented at different times on a graph.